The setting sun illuminates the sky behind wind turbines of a wind park near Neusiedl am See in Austria, December 22, 2014. 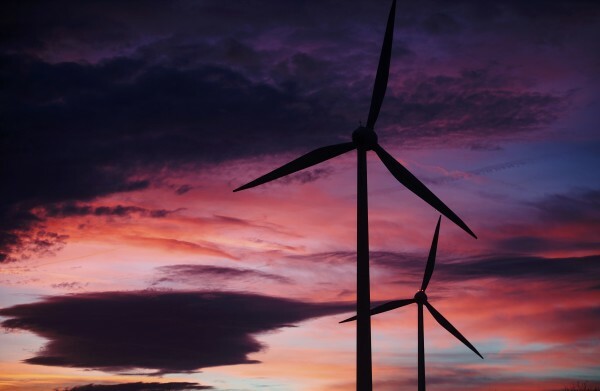 In their Dec. 11 BDN OpEd, “ Maine needs a wind energy tax credit extension for a clean, healthy future,” authors Laura Dorle and Katie Chapman argue for more industrial wind production in Maine to reverse global warming. It’s apparent that their interest in still more mountaintop wind turbines in Maine simply reflects how industrial wind advocates follow a taxpayer-assisted money trail that sustains the development of a costly, unreliable and unsightly energy source. Unlike the writers of that article, I have not been paid by a power lobby to advocate for still more taxpayer assistance to advance an agenda for power production. It can be argued that Dorle and Chapman stump for wind power not because it actually reduces carbon emissions ( the reduction is greatly mitigated due to backup power sources needed to supply the grid) but because taxpayer funding ultimately supports heavily subsidized industrial wind corporations. In their OpEd, Dorle and Chapman claim that global warming is a cause for the Gulf of Maine shrimp decline. Yet the authors don’t tell us that this seafood stock is at the southern edge of its range for this species and that its abundance at the fringe of its distribution could easily be affected by natural environmental variability, decadal increases in vessel catchability and chronic overfishing. The authors conveniently ignore these other factors that may cause this (and other) seafood species to vary in abundance but instead implicate global warming as the sole culprit for the shrimp decline simply because it fits their narrative. This is purposely misleading. Had Dorle and Chapman and the environmental lobby actually believed in reducing global carbon emissions, we would have heard their collective outrage over President Barack Obama’s climate pact with the Chinese. Yet we heard no outrage at all. The president recently signed — without congressional approval — a deal with China, the world No. 1 carbon-polluting country. The Chinese bring new coal-fired power plants online at the rate of about two per week. Yet Obama unilaterally agreed after his election drubbing that the U.S. will continue cutting carbon emissions and double the current domestic cut rate by 2025 while the Chinese, who have never cut carbon emissions, need not even start until 2030. The deal is a double sham because China imports the very lumps of Appalachian coal that Obama has decided that U.S. plants aren’t allowed to burn. While the very existence of anthropogenic warming can be debated, the following cannot; if China burns the same coal we don’t, the effect on global warming is the same. Obama and industrial green energy share a dubious quality: deceit. Corporate green energy is simply a microcosm of the president’s wanton deceit of the public. Despite the claims, wind turbines’ reduction of carbon emissions is slight at best. The dark secret that industrial wind would rather you stay blind to is that when the wind doesn’t blow wind turbines need traditional power back up. So the reduction to carbon footprint is minimal. And for six years Obama has railed against corporate welfare. Yet why hasn’t the Obama rant applied to green energy companies like Solyndra, which squandered millions of taxpayer dollars to produce no energy. Is Maine really “the way life should be?” If so, its residents shouldn’t have to pay somebody else to perpetuate a sham and scar the landscape in the process. Paul Rudershausen is a research associate at the Center for Marine Sciences and Technology at North Carolina State University. He is the owner of sustainably managed woodlots in Burlington, Springfield, and Carroll Plantation, Maine.